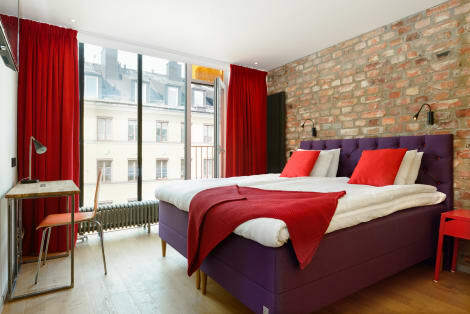 Hellstens Glashus is situated in the heart of the vibrant, hip and popular area Södermal. The Mariatorget metro station is right across the street. The history of the building dates back to the early 1900s when the posterior of the building was a metal works in which church bells for all over Sweden were formed. The house later housed a glaziery and printer. It was later rebuilt into a dance theatre with the appropriate name “The Glass House” which inspired the hotel name Hellstens Glashus. Indeed it is reinforced by the unique glass facade which has brought attention with its distinguished architecture. 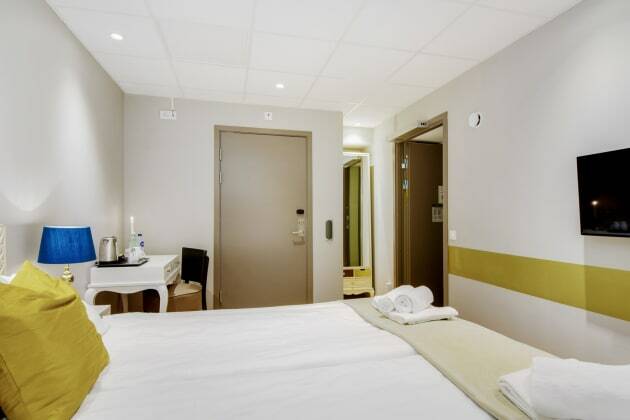 The 44 rooms of the hotel have free wifi access, TV, desk and private bath with a shower. 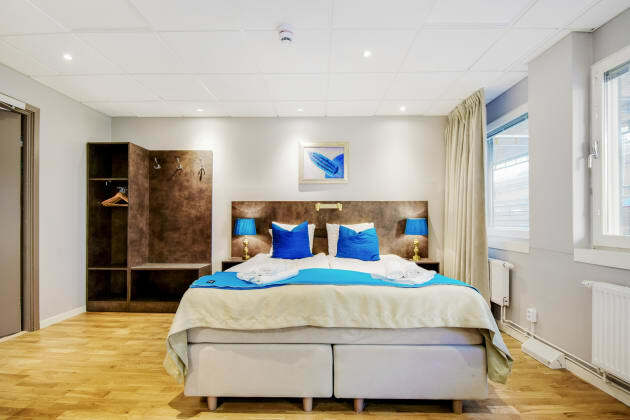 Scandic Gamla Stan is a modern hotel in a historic building, situated along the cobbled streets of Stockholm’s old town, close to the Royal Palace, Royal Armoury and a wide selection of restaurants and bars. After a comfortable night’s sleep, refuel on the hotel’s organic breakfast. The hotel’s 24-hour shops mean you won’t go hungry day or night. 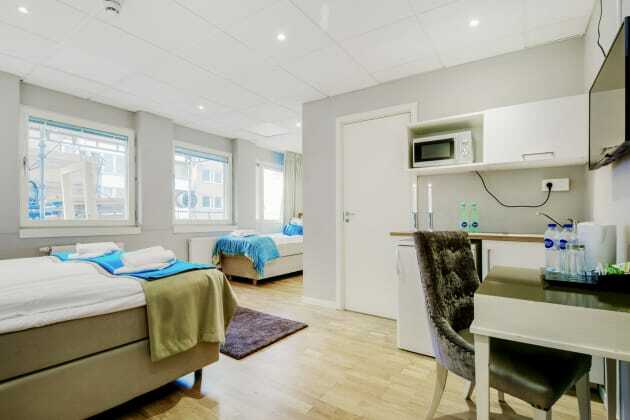 Each stylishly decorated room features modern amenities, free Wi-Fi and an en suite bathroom stocked with complimentary FACE Stockholm products. A stay at Mälardrottningen Hotel places you in the heart of Stockholm, within a 15-minute walk of Stockholm Palace and Royal Swedish Opera. 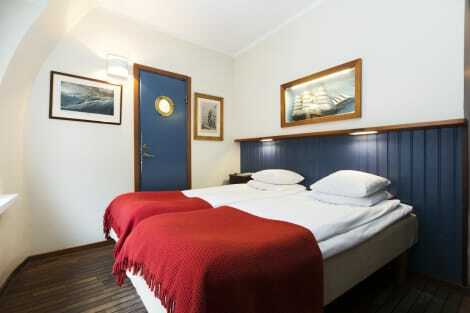 This hotel is 0.7 mi (1.2 km) from Stockholm City Hall and 1.7 mi (2.7 km) from Vasa Museum. 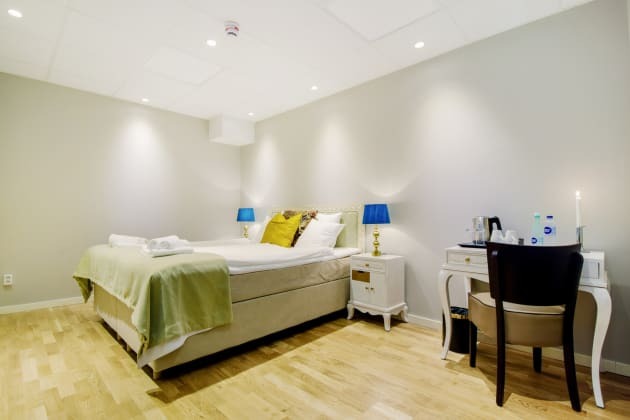 The Collectors Lord Nelson Hotel is an intimate, friendly and pleasant hotel right in the heart of Gamla Stan, Stockholm’s Old Town, close to the city centre and all the capital’s sights and attractions. But most of all the hotel includes a unique, private collection of marine antiques - passionately collected through the decades by the owner family Bengtsson.